200 Facebook Fans & Counting! We just reached 200 Facebook fans and we wanted to say Congratulations to our lucky winner who received a $100 Gift Certificate! When we started our Facebook page, we announced a contest where we would choose one random person to win a $100 gift certificate once we reached 200 fans. Our next goal is to reach 300, and once we do we will be giving out another fantastic prize! If you are not a fan, just click the icon in the top right corner. If you are already a fan, then spread the word! The faster we get to 300, the more prizes we can giveaway! 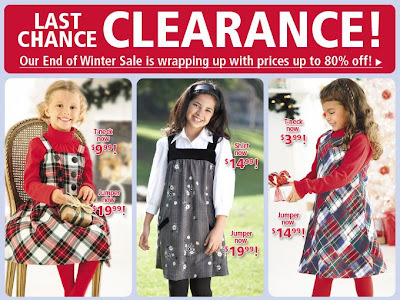 This is your Last Chance to save up to 80% during our End of Winter Clearance Sale! Click Here to start shopping and Save! CWDkids Care Contest 2009 - Open For Entries! Last year, in an effort to recognize children who are making a positive change in the lives of others, we launched the "CWDkids Care" contest. We received hundreds of entries from children and their families telling us about the good work they are doing to help others. Read the inspiring stories of the 2008 contest Winner and Finalists here. We want to continue to honor children who are selflessly working to make a difference, so the 2009 CWDkids Care contest is officially open for entries! We will help one child continue their good work by making a $5000 donation, in their name, to the charity of their choice. 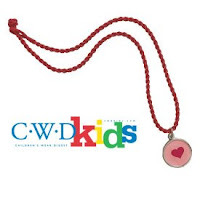 The winning entry will also receive a $500 CWDkids gift certificate and recognition in a future catalog. So get writing, we can't wait to hear your story! It's the hottest trend for young girls--Maxi Dresses, inspired by the laid back, west coast surfer style. These casual and pretty dresses are the perfect warm-weather look, with just a touch of sophistication yet age appropriate for young girls. *Dual purpose dresses can be worn as an everyday dress, or a bathing suit cover up. Go from beach to boardwalk in style. *The stretch fabric is lightweight and comfortable. *The maxi length offers plenty of coverage from the sun. *Layer with a cardigan or tee in cooler weather. *Dresses are Made in the USA. Just in time for Valentines Day - Win this Heart Necklace! Go to Preppy Sue for instructions on how to enter! You have until January 29 at 5:00 PM EST. The winner will be announced Friday morning on Preppy Sue. Click Here for a closer look at this necklace. 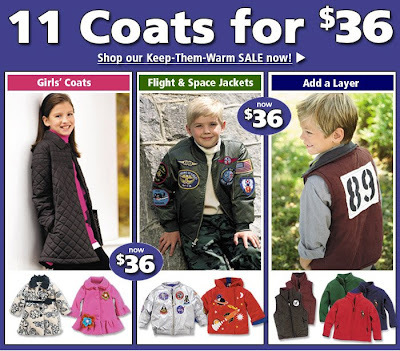 Select Coats now only $36.00 each! Click Here to start shopping NOW! We know that times are tough. Like you, we are parents and have families to provide for. We realize that you are doing everything you can to save by clipping coupons, shopping sales, carpooling, and making any sacrifice possible just to stay afloat in this trying economy. So, we brainstormed and thought of an idea that can help you save at CWDkids: Split the bill with a friend and save when you purchase from our selection of "2 For" items! 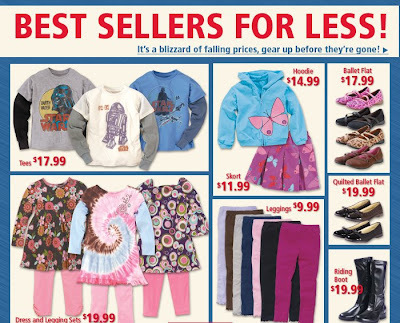 CWDkids carries a very large "2 For" collection of pants, shorts, skirts, tops, pj's, and swimwear for boys and girls that are reduced in price when you purchase 2 of the same style. You can buy different colors/patterns and sizes, just as long as the items are the same style number. 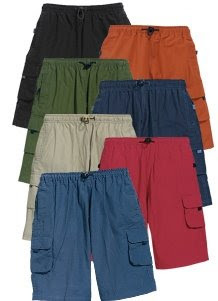 Here's the idea--if you need a new pair of shorts for your child, check with a friend, family member, or neighbor....they may need a new pair as well. You can split the cost and take advantage of the discount! If you belong to a moms group or playgroup, inquire with them before you make your purchase. Don't forget, you'll be saving on the shipping costs as well. Grandparents buying for their grandchildren can also take advantage of this savings, as well as families with multiples! Not only does our "2 For" pricing allow you to save on quality merchandise, you will save again by passing down our well-made clothing once it's outgrown. You can always count on CWDkids to provide you with the most value for your money, and we truly hope that you find this tip helpful during these tight times. One Week Only - $7 or $10 Basics! Girls Essentials have been reduced to $7 or $10 for only One Week! Starting today, you can afford to stock up on these everyday wear tops and bottoms. 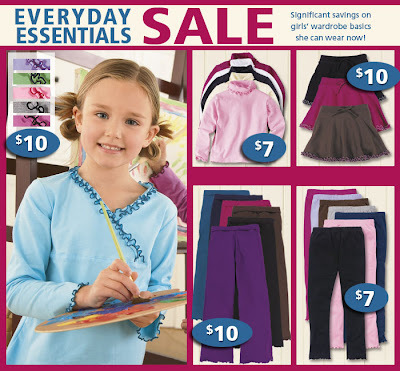 Excellent quality and perfect for school or play, your girls will wear these items over and over again! He may be too little to understand, but Perry had patriotic spirit and "watched" the Inauguration in his Bumbo seat with Mom. What a great picture, thanks for sharing! Do you have a photo or your children you would like to share? Please email your high resolution photos to cathywdaley@cwdkids.com. Many of us gathered in our break room yesterday to watch as our new President was sworn in. We saw images of the people who came from miles around to brave the cold and witness the event in person. Many people had their children with them and it got us to thinking about our customers and how many of you watched the event on TV with your children, or even made the trip yourselves! Have your children being learning about the election process in school? 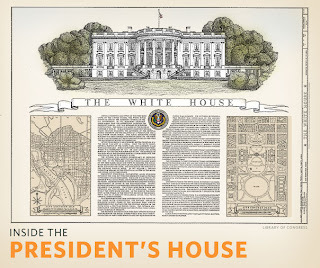 Here is a link to fun facts for all ages, the White House 101. If your children have shown an interest in this topic, they might have fun perusing the White House web site for information. We would love to hear about your experience--were your children interested, or excited about the event? Comment on this post and tell us if you watched the inauguration event with your family. Today our new leader will be sworn in as President--an important day in American history since the first Inaugural Ceremony in 1789 when George Washington took his oath. 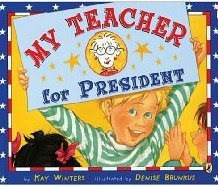 We found these wonderful and cheerful books for children that are a great introduction to campaigning, voting, and job responsibilities of the president. Read them with your children to spark conversation about the current presidential inauguration. 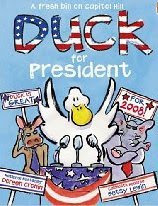 Duck for President: Preschool-Grade 2--This award-winning team returns with a third story of farm animals with ambition. Duck is tired of doing his chores (mowing the lawn and grinding the coffee beans), and decides to hold an election to replace Farmer Brown. When he wins, Duck quickly realizes that running a farm requires too much hard work, and sets out to run for governor. With the help of the hens, and speeches "that only other ducks can understand," he eventually ends up running the country. My Teacher for President: Kindergarten-Grade 3–Oliver's class has been learning about elections and presidential responsibilities. He writes a letter to Channel 39, putting forth a plethora of reasons why his teacher would be perfect presidential material. The story proceeds with a single sentence and appropriate illustration on the verso depicting a school activity, with a picture opposite demonstrating how that activity would play out when his teacher holds the reins in Washington. For example, "She's used to being followed everywhere" shows the class parading after her in line, while on the right, secret service agents and cameramen tag along as she jogs. Get $5.00 Standard Shipping on any order! Just enter code CFTFVE in the coupon code box at checkout. Hurry....Offer expires Wednesday 1/21/09 at 11:59 EST. Valentine's Day is still a month away, but why not start on some projects with your children now and use them as decoration? 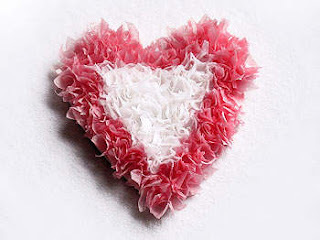 Check out these great Valentine craft ideas from Kaboose.com. We love that each craft has a degree of difficulty rating, and an appropriate age level. Also, we adore these easy Valentine ideas from Martha Stewart. Learn how to dress up a plain button down shirt with felt heart buttons covers, or have your children make their own valentines to pass out to their friends. (Here is a heart template to use as a guide for the valentine cards). 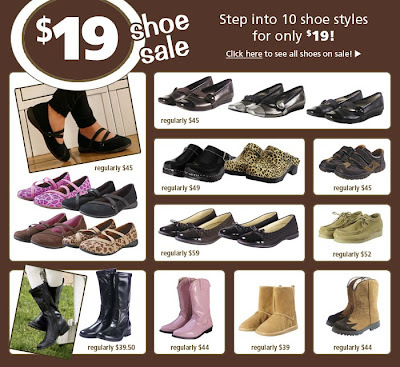 Choose from a selection of shoes for only $19.00 plus other great shoe deals! Flats, boots, clogs, and more...hurry before they walk away! We stumbled upon a fantastic web site dedicated to grandparents, conveniently named Grandparents.com, which is just loaded with fun information. We know that many of our customers are grandparents, so we thought we would pass along this easy-to-navigate web site as a great source for kid-friendly ideas, tips, expert advice, news, deals, and much, much more! Question of the week - Read community discussions by fellow grandparents about common topics relating to their grandchildren, like choosing a grandparent name. Peruse hundreds of ideas from traditional to trendy...you'll be sure to settle on that name you want your grandchildren to call you. City Guide - Find 101 things to do with your grandkids in (most) any city in the US! Plus you can sort by category and age. Activities - Grandkids are over and you're out of ideas to keep them occupied? No problem, just download one of the many coloring or activity pages, or choose one of the 10 inexpensive ways entertain your grandkids at home. Have fun exploring grandparents.com--We hope find everything you need to create more happy memories with your grandchildren! We are so happy to announce one more addition to the CWDkids family! 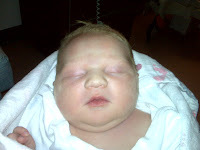 Jean Jordan, the Account Rep. at our fulfillment center, gave birth to Hannah Lee on January 7th. She was born at 7:34am and weighed 7lbs, 11 ounces. Mom and baby are doing great! Congratulations Jean-Everyone at CWDkids welcomes dear Hannah into the world. Our love is with you and your new family! Big End Of Season Savings! 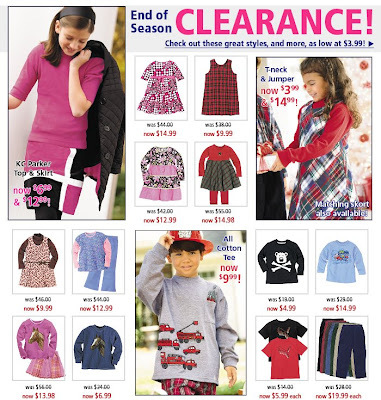 Save BIG during our End Of season Clearance Sale! Prices start at only $3.99....These items will not last long, so hurry and stock up while you can! This 100% cotton brother/sister ensemble will stand up in the laundry wash after wash. However, our number one rule of thumb to keep all of your CWDkids garments looking their best: Read the labels and follow the wash instructions. We carry items by several different manufacturers and the wash instructions will vary from brand to brand, so it's important to read each label carefully. Most moms like to give outgrown clothing to a younger family member or friend. Following the wash instructions will ensure that your clothing remains in excellent, ready-to-pass-down condition. Laundry can be a daunting task. You wash, dry, iron (sometimes), fold, and put away, only to realize that the hamper is full again. Click Here for some simple products and tips that will make this cycle a little bit easier. Do you have any great laundry tips or suggestions? Let us know, post your ideas here! 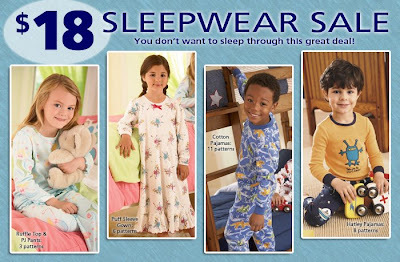 You don't want to miss out on the $18 Sleepwear Sale! There are so many patterns on sale it will be tough to choose just one. Hurry, quantities are limited! "I think that CWD is a great company to work for because of the way they treat their employees. I can never say enough good things about my experience at CWD and the people I worked with and worked for..."
He also told us how much his misses the company birthday lunches and the family atmosphere, as well as as helping out at various local community events for children and their families that CWDkids sponsors throughout the year. Although he no longer works directly for CWDkids, Scott is not far away as he now works for the company that we outsource for IT services, Data Network Services Inc. He also has another little one on the way...time for matching sibling ensembles! Hanging out in the CWDkids Tree House at The Children's Garden - Lewis Ginter Botanical Gardens, Richmond, VA. It's not too early to buy your little sweetie a Valentine's Day gift...February 14th will be here before we know it! This season, we have several items that will make the perfect gift for Valentine's Day. Take a closer look at this CWDkids Exclusive Heart Tie-Dye Tee, and Heart Pendant. Don't miss out...shop all Valentine theme clothing and accessories Here! Prices Too Good To Pass Up! Stock up on these great deals while you can! Start shopping NOW. This craft is for adults, but the finished product can be used as doll house furniture. Continue your celebrations and recycle at the same time! 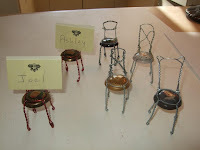 One of our blog readers sent in this simple craft that uses the metal cages from champagne bottles. You probably have a bunch left over from New Year’s festivities. 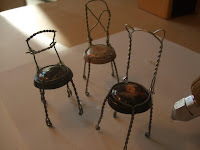 She found these cute café chairs in a book on making doll-house furniture, but she likes to use them as place card holders. 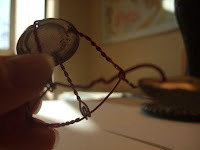 Use the wire snippers to clip the circular wire at the bottom of the cage. 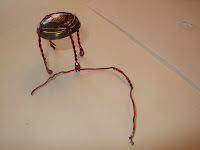 (I like to clip it across from the twisted part and use the twist as the decorative top of the chair.) Pull the wire out, leaving the four "legs" of the chair and the "seat." Bend the wire you have just removed into the shape of a seat back. (You may have to clip off the ends to shorten them.) 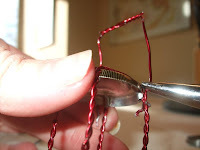 Use the needle nose pliers to twist the wire around the legs of the seat to make the back of the chair. If you want to make fancier chairs, you will need two wire cages for each chair. 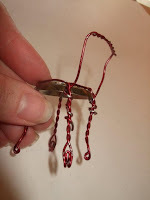 You can clip different shapes from the wire loop that you remove and use a glue gun to secure the chair backs. If you need a lot of wire cages, ask your liquor store or a restaurant that does champagne brunch to save them for you! If you have any questions for the author of this project, your can contact her at craftfrog@gmail.com. Learning how to tie a shoelace is a huge accomplishment for child as well as adult! Make it a New Years resolution! See this easy guide on About.com which gives you a few really cute ticks and tips on how to teach your kids how to tie their own shoes. From the "Bunny Ears" to the "Loop It and Swoop It" methods, they'll be sure to master tying their own shoes in no time.